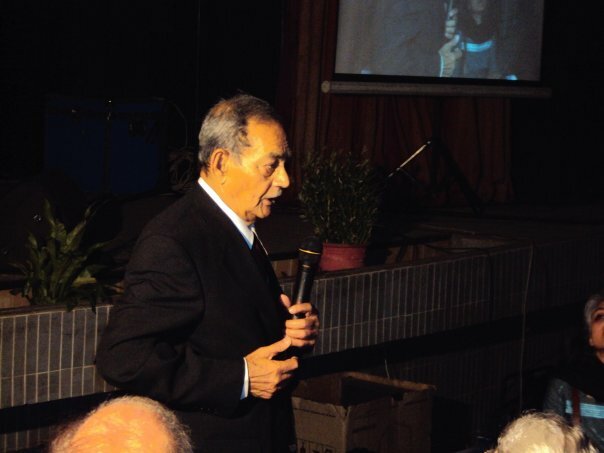 Prof. Khawaja Moizuddin Ahmed Farooqui, 83 years old, passed away on Nov 24th after a prolonged illness. 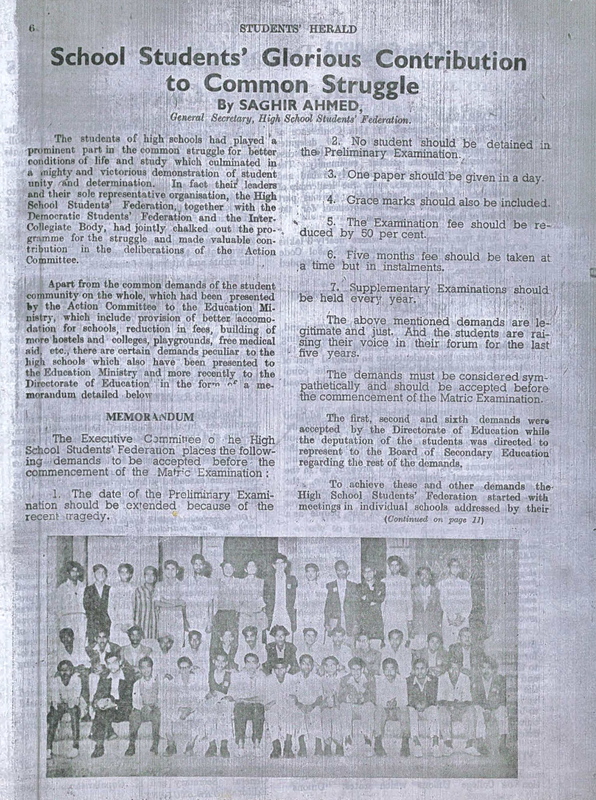 Prof Farooqui was a former General Secretary, then Vice president of Urdu College Students Union and retired as a Professor of University of Sindh. 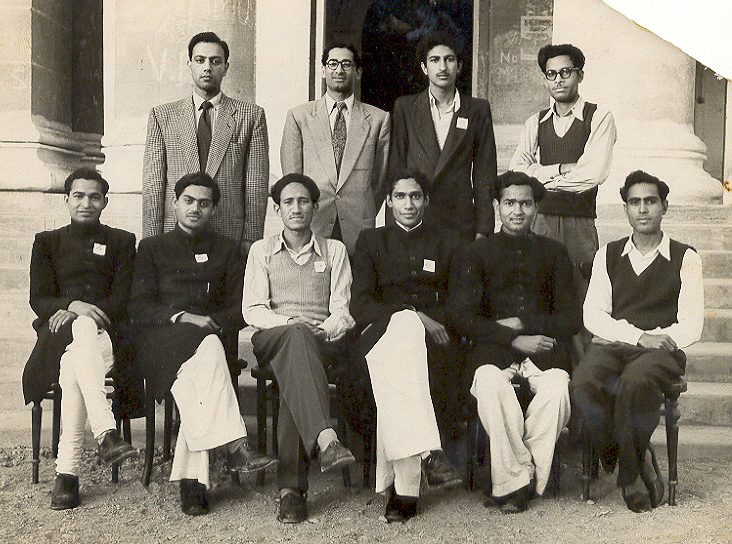 In his student days, Moiz Farooqui was involved in the Democratic Students Federation (DSF) and Inter-Collegiate Body (ICB) of the 1950s. 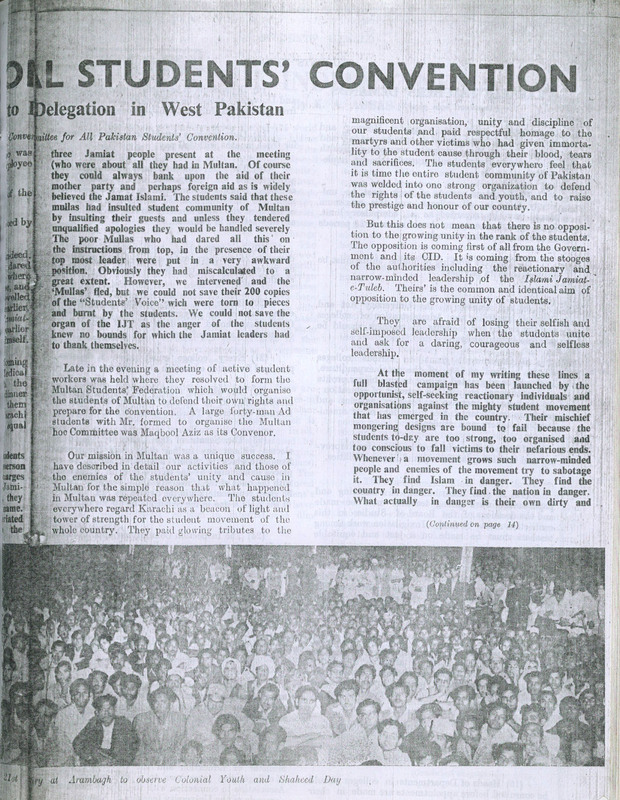 He was one of the four person delegation that the Convening Committee for the All Pakistan Students’ Convention, formed by the Inter-Collegiate Body decided to send to tour important towns of West Pakistan to mobilize support for the convention. “Amongst the members of the delegation were Syed Iqbal Ahmed, (VP, SM College), Moizuddin Farooqui, (GS, Urdu College) and Khwaja Adil Ahmed, (GS Law College) and myself. 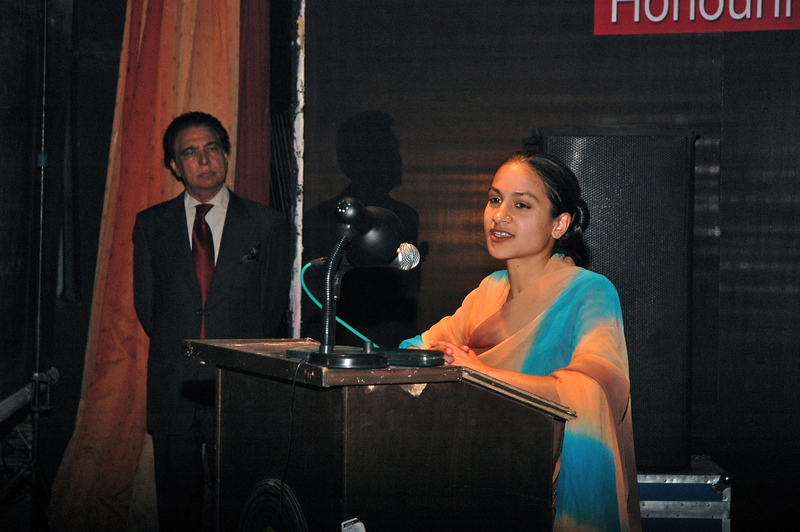 Our programme was to pay short visits to Multan, Lahore, Rawalpindi, Peshawar and Hyderabad. 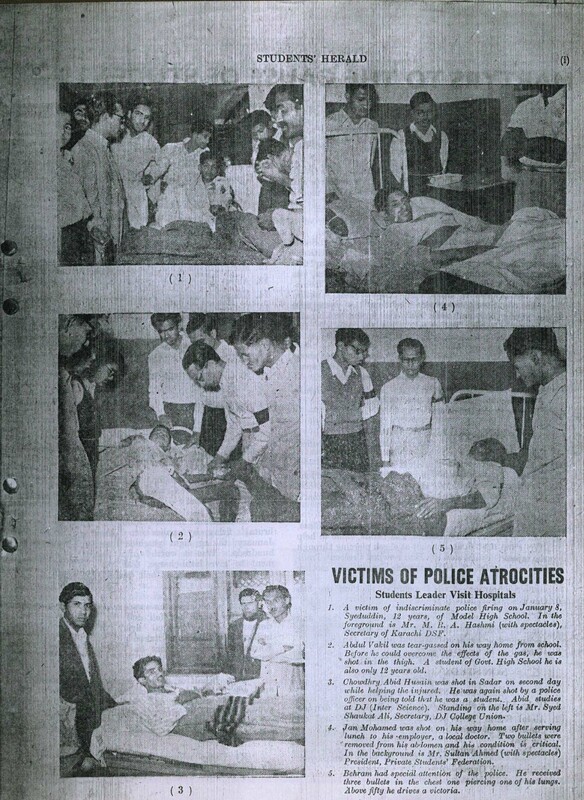 After reaching Lahore we had to accept the forcing invitation of Lyallpur students to visit their city also,” wrote Dr Sarwar in in the Student Herald of March 9, 1953. 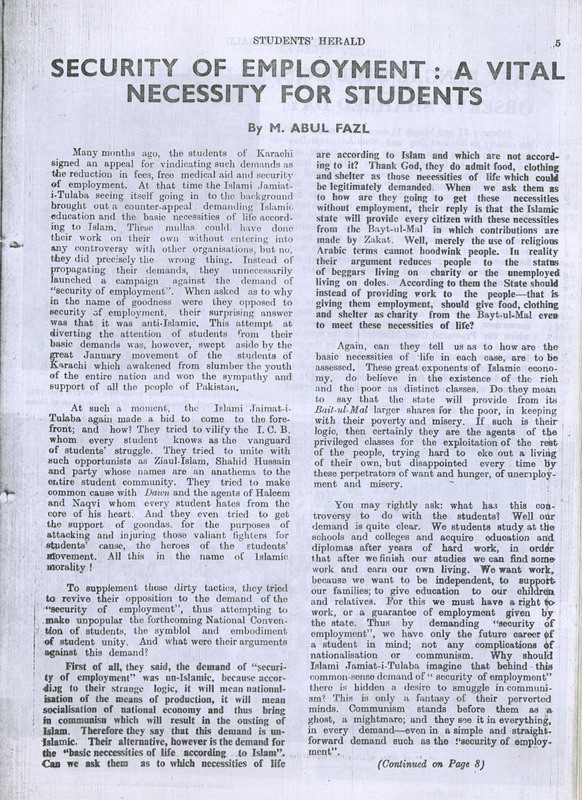 Despite his illness, Prof Farooqui had attended and addressed the event Looking Back to Look Forward we organised in Jan 2010 at the Karachi Arts Council to commemorate the 1953 student movement. 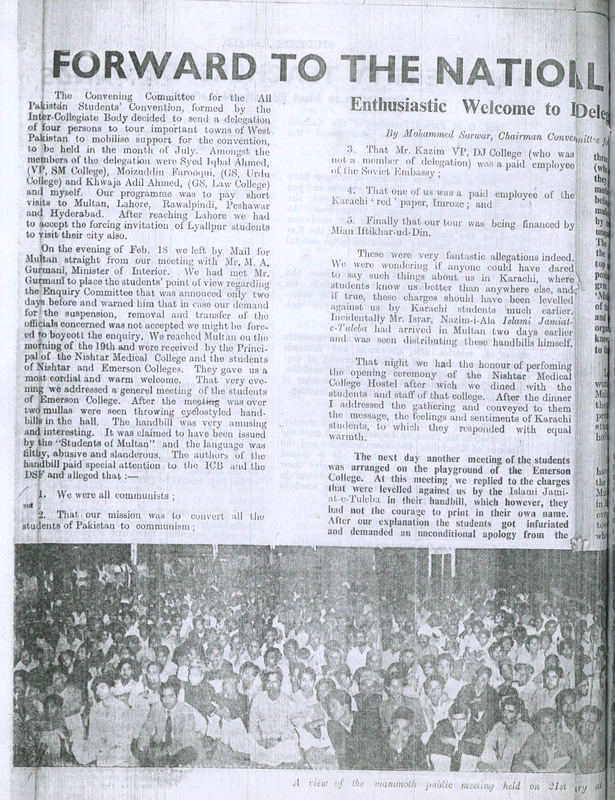 The students of high schools had played a prominent part in the common struggle for better conditions of life and study which culminated in a mighty and victorious demonstration of student unity and determination. 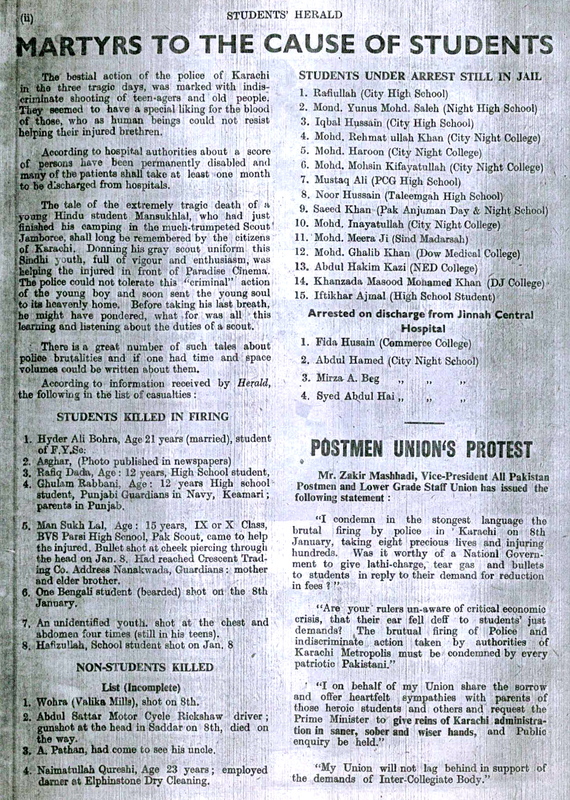 In fact their leaders and their sole representative organisation, the High School Students Federation, together with the Democratic Students’ Federation and the Inter-Collegiate Body, had jointly chalked out the pro­gramme for the struggle and made valuable con­tribution in the deliberations of the Action Committee.